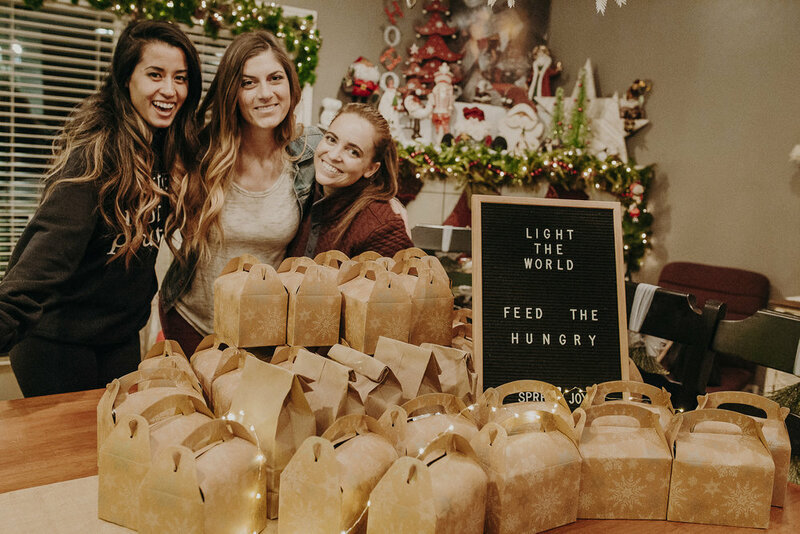 Every year, as Christmas rolls around, I tell myself to find a way to serve others. While I know there are simple ways to do so, I always seem to come up with excuses and become overwhelmed with the idea, telling myself that I just don't have the resources to accomplish whatever service it is I had in mind. But this year, I wasn't going to let that happen! 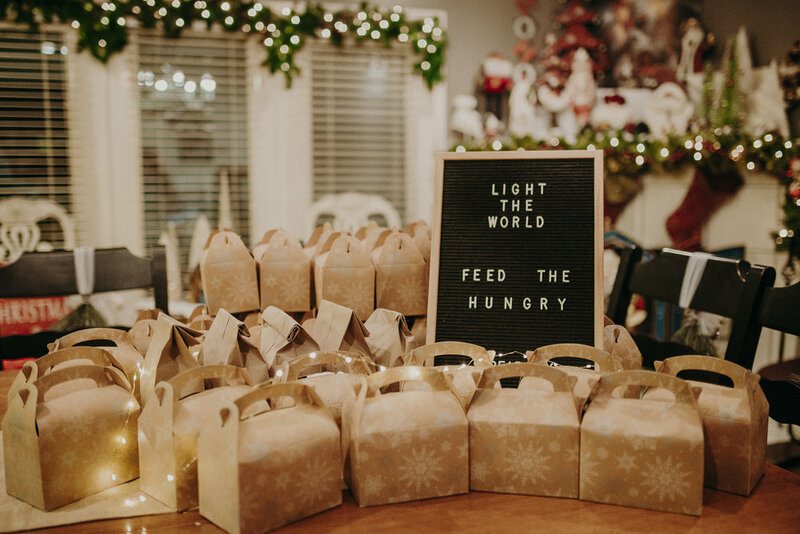 The Church of Jesus Christ of Latter Day Saints is running their Christmas campaign, and this year's theme is Light the World. 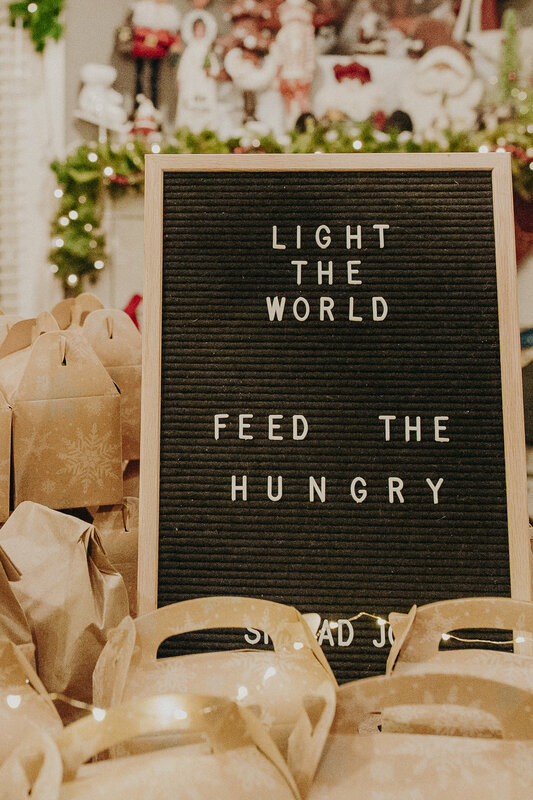 Each day they have shared inspiring messages with simple ways that we can all make a difference, and today's message is Feed the Hungry. 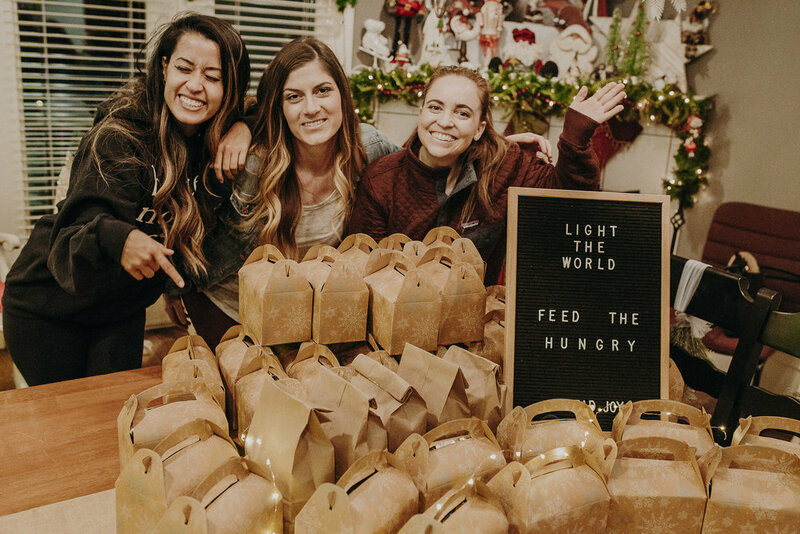 With that thought in mind, I decided to put a small activity together, for myself and a couple friends, so that we could do our part in feeding the hungry. - Donate foods that do not need a lot of prep. If you do donate something that takes a bit of preparation, make sure it's something simple, like just adding water. Once my friends came over to help, it was time to put everything together. First up were the lunch boxes. Rather than donating unopened boxes or cans of food, I wanted to create something special. So I picked up these fun lunch boxes, that were easily assembled, and can be carried around until the recipient is ready to enjoy the goodies inside. Once the boxes were all assembled, it was time to fill them. I tried to get a variety of foods, to satisfy any craving. From chocolates, to chicken salad with crackers, to applesauce. I hoped there was something for everyone. I knew we would end up with some extra food, once all of the boxes were filled. So I also had some paper lunch sacks on hand for any excess. All together, we were able to package over 40 lunch boxes/bags! My dad helped me deliver them to the local homeless shelter, and it felt so good to know we were helping others have a better Christmas. At first, 40 lunch boxes didn't feel like enough, to me. I wanted to do more, but had already maxed out my personal budget. But the more I thought about it, the more I realized how much good 40 boxes could do! There's plenty of food in each box to be shared or to tide someone over for a few meals, if necessary. Plus, if 40 people have a better day from receiving one of these boxes, then they might just spread the joy onto 40 more people, and so on. What I learned from this experience is that there will always be an excuse to not do something, to not help someone, or to just stay silent. But even when we do something small, we not only enrich the lives of those we serve, but we enrich our own. 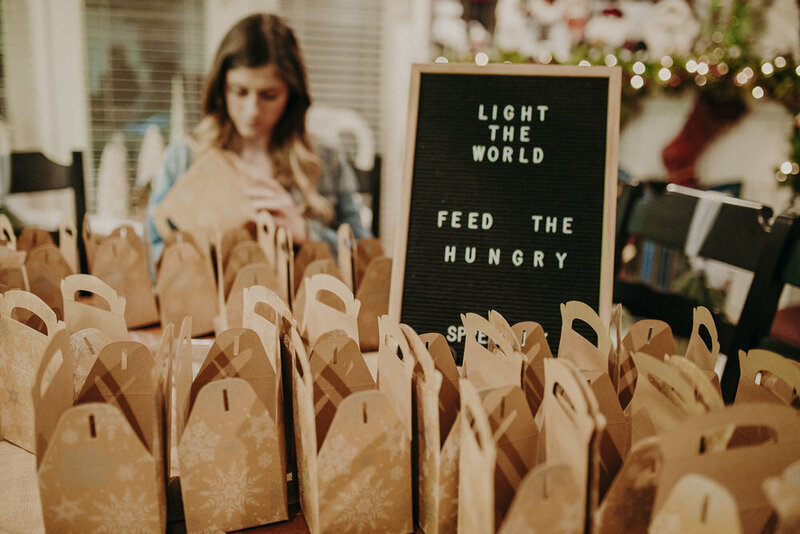 If you are looking for a simple way to serve someone this holiday season, or anytime of year, be sure to check out Light the World. They've listed a lot of great ideas, and even have a (free) downloadable Service Calendar. And remember — sometimes the smallest effort makes the biggest difference. So just do what you can, when you can!